"The Passenger". 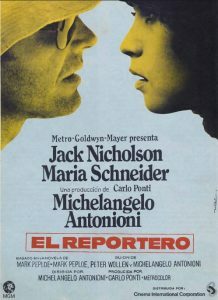 Antonioni, Nicholson, Schneider. Y Caffarel. El reportero, 1975 from ADOMA on Vimeo. Siguiente: Diego Martín, “once programas diarios”.